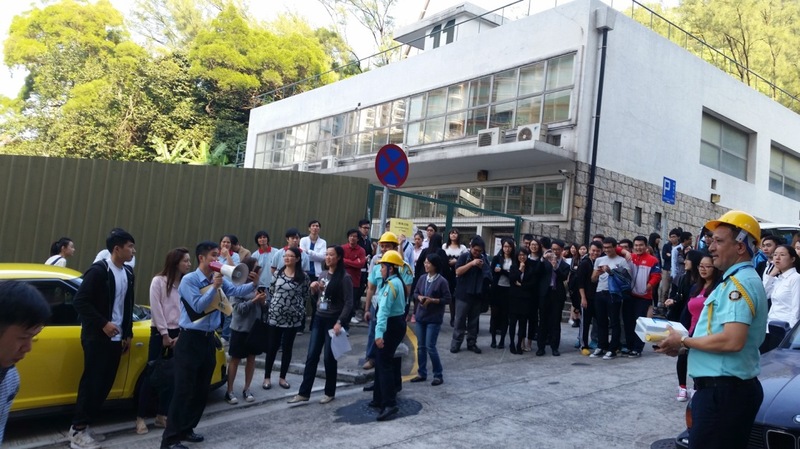 Thank you for your participation at the fire drill on 21 November 2014 (Friday). With your contribution, we were able to save all of our lives in 6.5 minutes . This includes two students, who kindly helped us to pretend as injured personnel left in a room to be rescued. The drill has prepared ourselves for this life-threatening accident physiologically and physically. It has also examined the hardware and facilities for fire prevention successfully. We appreciate your understanding and supports for the life-saving event. Let’s keep a good sense of fire safety, no matter you are in or outside the campus!